Fiji Airways/Qantas (Oneworld) – from Hong Kong, Los Angeles, Brisbane, Sydney & Melbourne. Virgin Australia – from Brisbane, Sydney and Melbourne. Air New Zealand (Star Alliance) – from Auckland. Korean Air (Skyteam) – from Seoul. Aircalin– from Noumea and Honolulu. Air Niugini– from Port Moresby. 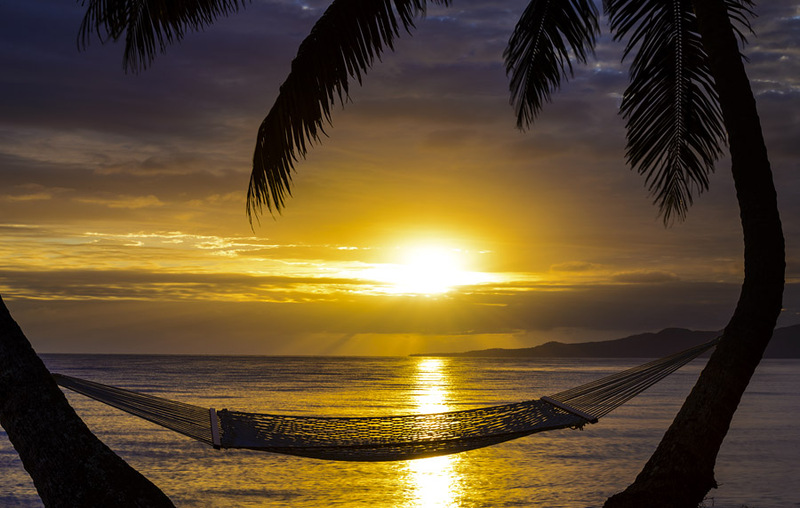 Where is The Remote Resort, Fiji Islands? 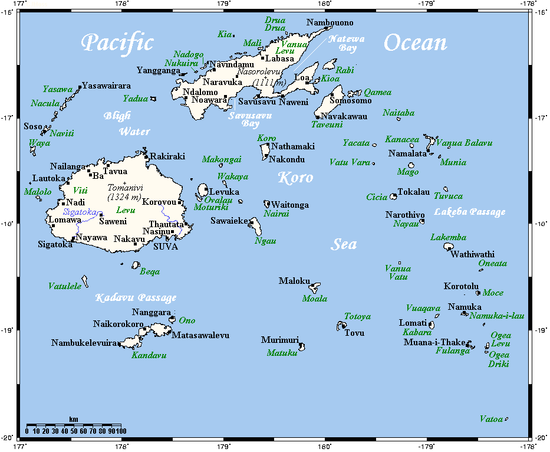 Check out our google map to see how to get to The Remote Resort Fiji Islands. The following airlines provide direct flights to Nadi, Fiji (the international airport - airport code NAN): Fiji Airways, Qantas, Virgin Australia, Air New Zealand, Air Calin and Air Niugini. Once you land in Nadi you need to take a domestic flight to Taveuni on either Fiji Airways or Island Hoppers. REMOTE CONCIERGE TIP: If you're flying into Fiji on Fiji Airways, book your trip all the way through to Taveuni to enjoy your international luggage allowance the whole way. If not, the 15kg domestic luggage allowance will apply from Nadi to Taveuni. When you land in Taveuni we will be there to pick you up for the short car and boat ride to the resort. The transfers from Taveuni are complimentary with our all inclusive rates. Contact us at request@theremoteresort.com for any assistance with your flight plans, we are always happy to help! We have excellent mobile phone coverage but you likely will not want to incur the data roaming charges that will be incurred if you use your phone overseas. We also have found that some overseas carriers work, yet others do not. During your stay we will issue you with a local mobile phone so that you can call the Resort team at any time for anything you need no matter where you are on the property or beyond. You may give this number out during your stay so that your loved ones or work colleagues may contact you during your stay (be sure to tell them the time difference). Another emergency number is the Manager on Duty phone +679 8307909 or Natasha (Resort Owner/Manager) mobile which is +679 97931116. Please note that down for your travels to the resort also, in case you need any help enroute. - A Prepay Flashnet stick if you want internet on your laptop. - A Prepay microsim if you want internet on your iPad and it has a 3G data slot. These are likely to be faster than our resort internet. Vodafone Fiji have a great live chat service on their website where you can get your questions answered on latest prices, compatibility, etc before you travel. We recommend any items be installed and set up by the Vodafone team in the store so you know it’s working before you leave the airport as there is no Vodafone store in Taveuni. Do you tip in Fiji? Tipping is not required or expected in Fiji. If desired by guests most resorts (including ours) will collect and distribute tips to staff as part of the Staff Christmas Fund. Every person entering Fiji is allowed 2.25 litres of Spirits OR 4.5 litres of Beer OR 4.5 litres of Wine as well as 200 grams of cigarettes. *These amounts are current as of March 2014. Duty Free prices for liquor are generally better in Fiji (don't hold us to that) though the selection may be more limited. The duty free shop in Nadi is open for every incoming international flight and is right after you go through immigration. The currency in Fiji is the Fiji Dollar (FJD). You will generally get a better exchange rate once you're in Fiji - either at the bank or ATM (don't hold us to this). There are two ATM machines in Nadi airport, one in the international arrivals hall and one in the domestic departures hall (both ANZ). There is an ATM also on Taveuni (Bank of South Pacific). Need any vaccinations to travel to Fiji? Check on the latest advice regarding travel to Fiji from the US CDC, Australia Smart Traveller, UK FCO, NZ Safe Travel. What is the time in Fiji Now? GMT +12. Check current time now. Do I need a visa to enter Fiji?